What is it? Blue Heaven Fashion Mascara is a mascara which is perfect for everyone. They give your eyelashes with that perfect curl which look thicker and longer. It can be used on a daily basis. The color payoff is jet black and is very dark. It is smudge proof as claimed by the brand and retains on the eyes for the whole day. 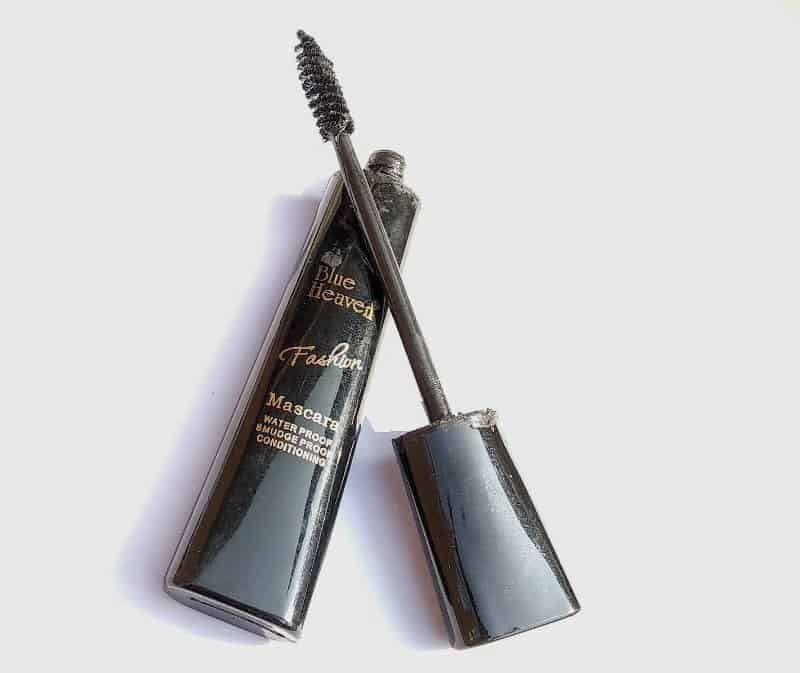 Packaging- The mascara comes in a stunning sleek black packing which is a compressed tube. It is durable and travels friendly. The product never spills or creates a chaos. Texture- The texture of the mascara is smooth and runny. The consistency of the product is thin and can be coated and recoated on the eyelashes to make them look finer. Fragrance- This mascara does not have any fragrance and this is the one thing I like about the product. Shade- Black, the perfect shade to coat those eyelashes and make your eyes stand out. Pigmentation- The pigmentation of this mascara is black and is perfect for the eyelashes but it takes time to dry though. Staying power- This mascara has stayed almost 8-9hours on to my eyelashes, the formula is thin and takes a lot of time to dry but when dried stays for a lot of time. Experience- The color is dark and is very shady. I liked that but it is not waterproof, you get moist and this will get over the eyelids. I think it’s a decent mascara for the price and can be used on a daily basis. Overall I loved the packaging and the color payoff of this product. Yes, Of course! I would like to repurchase Blue heaven mascara. I would recommend this mascara to everyone who doesn’t want to invest a lot on mascaras and want it for daily usage. 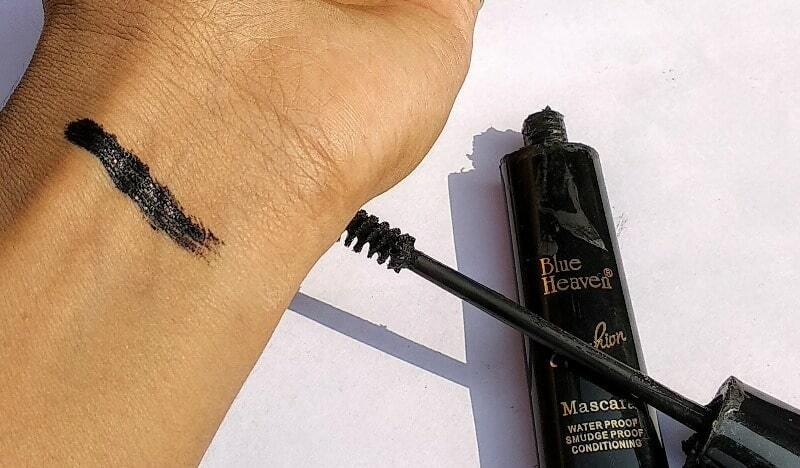 Blue Heaven Liquid Mascara the Cheapest Mascara that Works! Nice swatches and well explained. I liked your review and planning to buy this one as it is very affordable and functional..